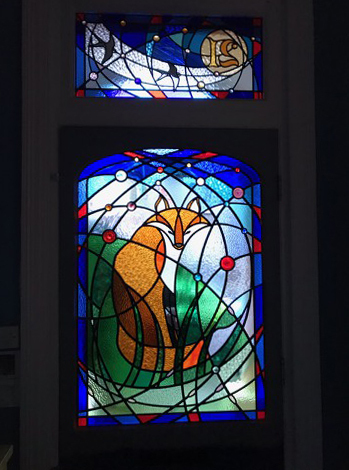 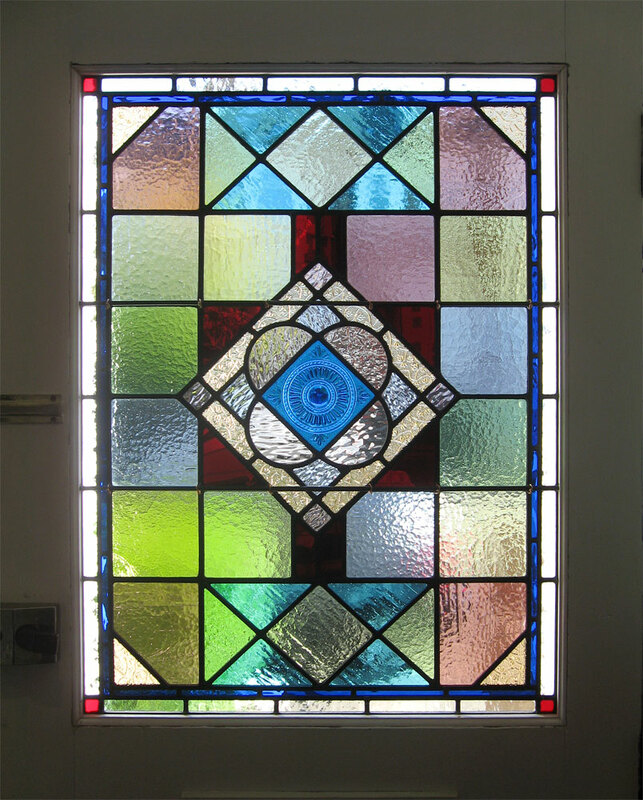 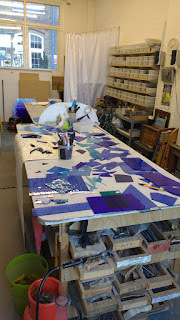 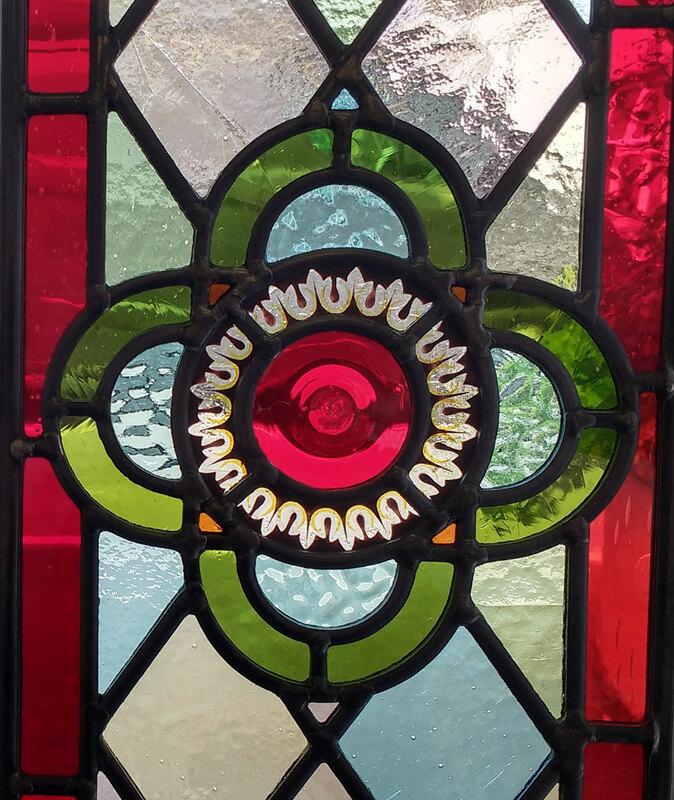 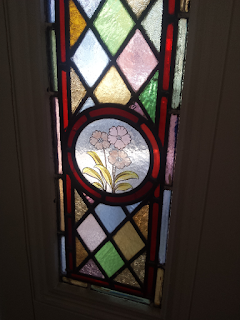 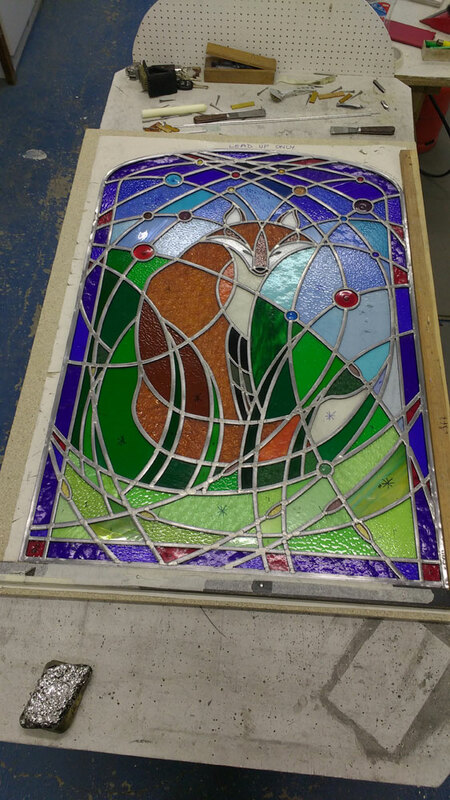 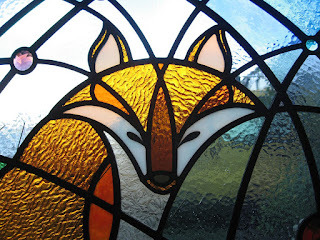 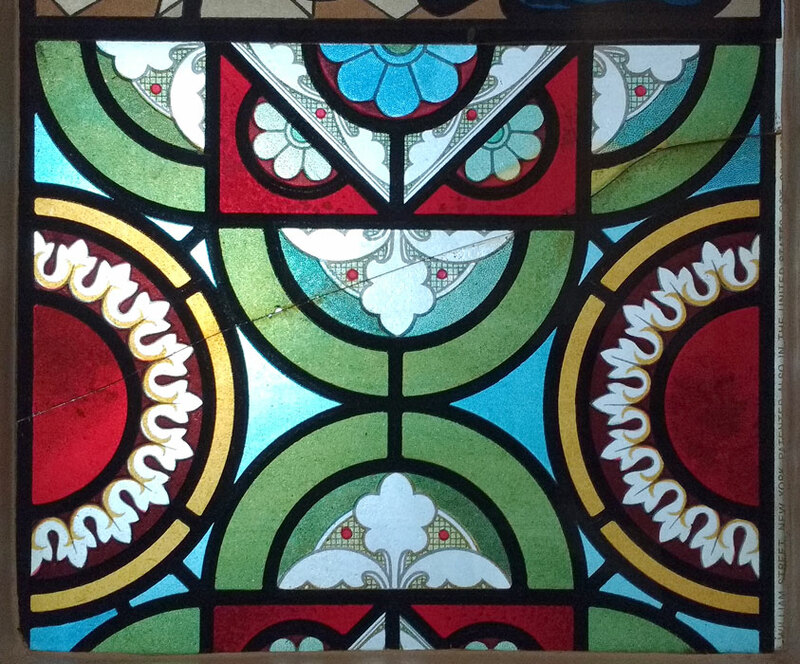 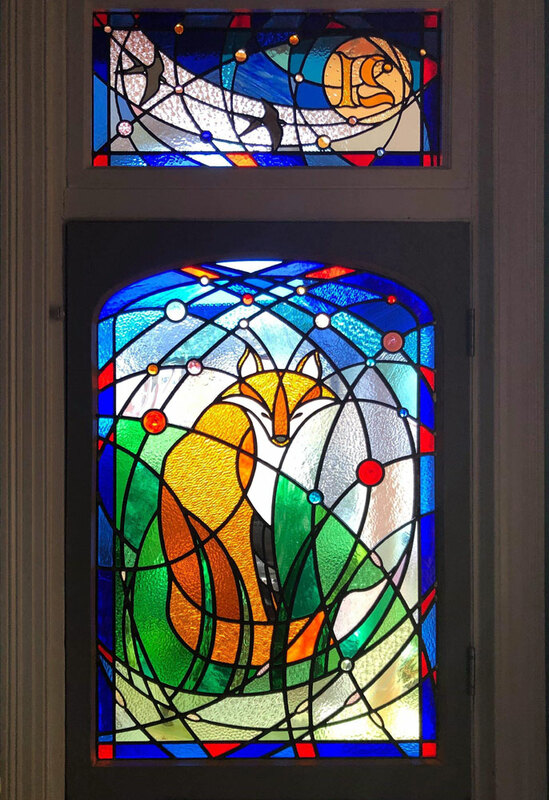 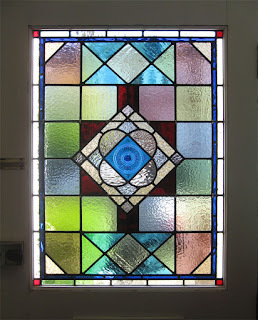 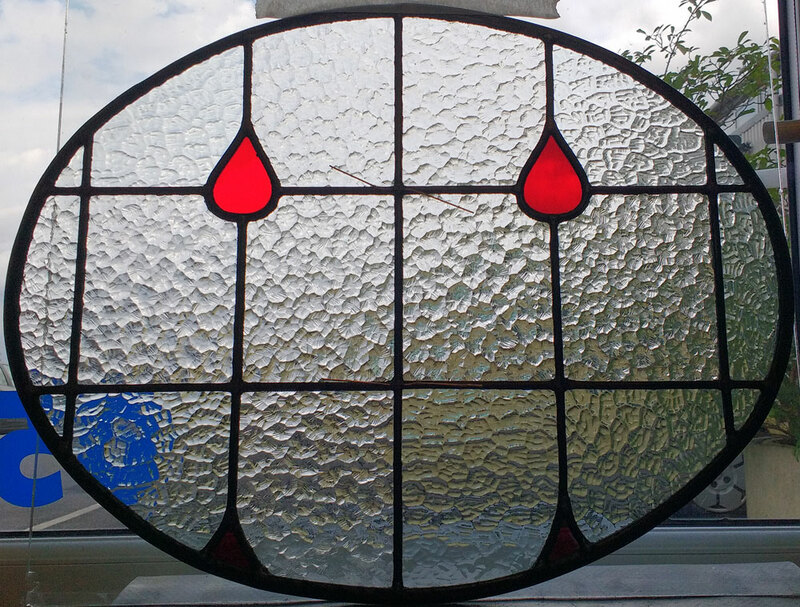 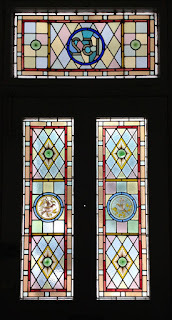 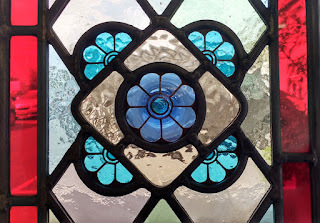 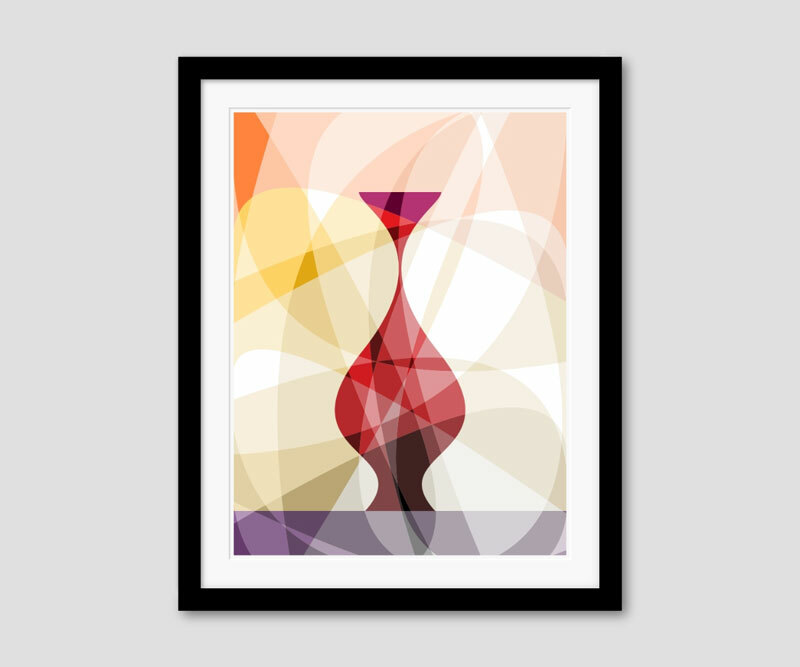 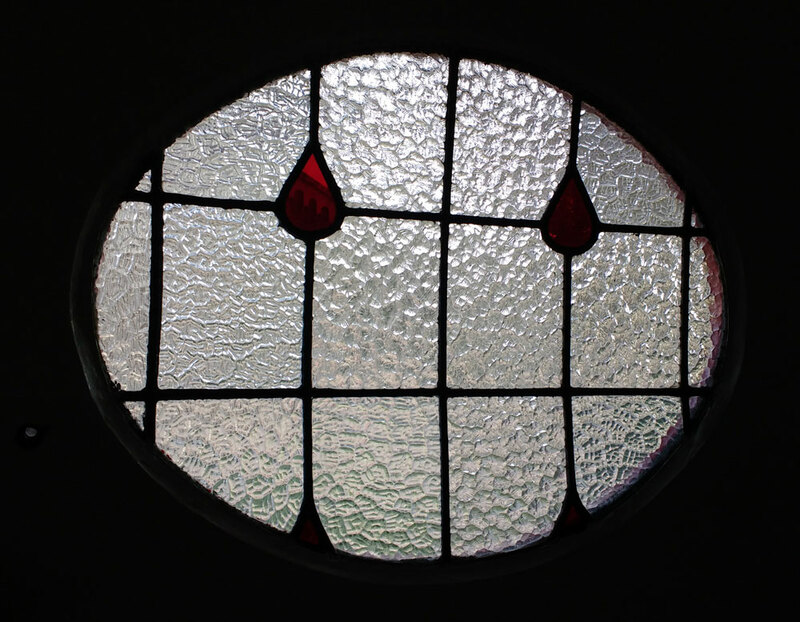 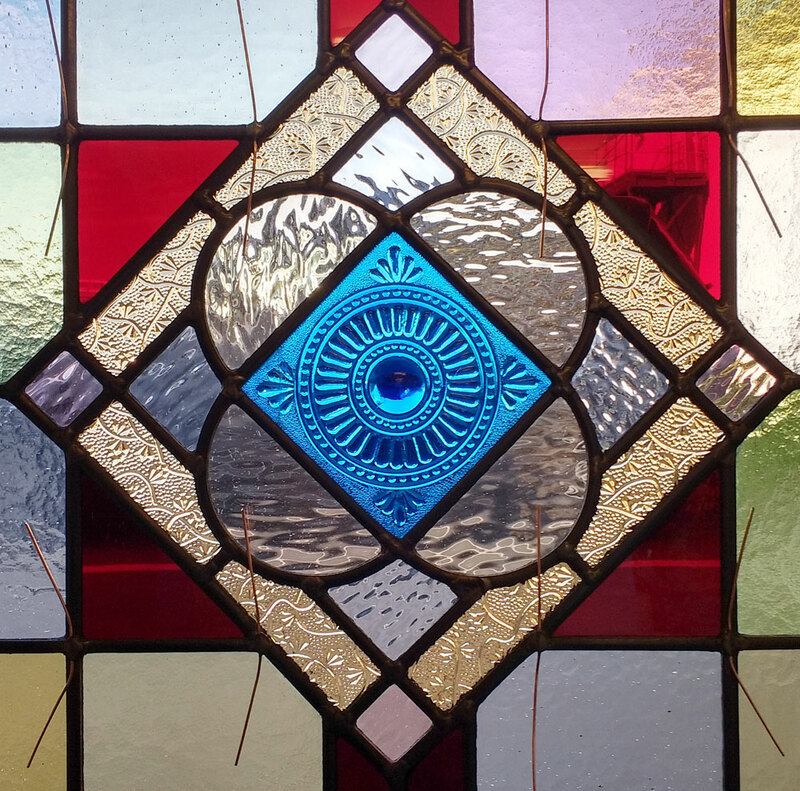 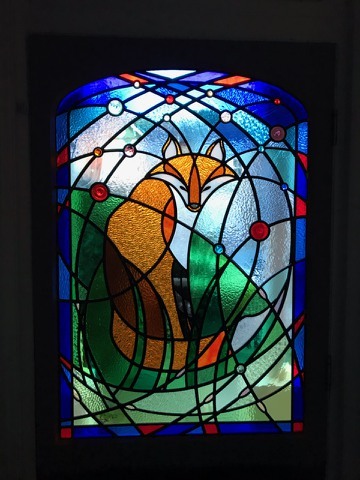 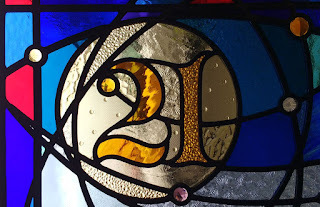 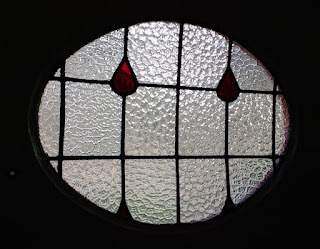 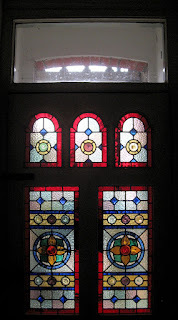 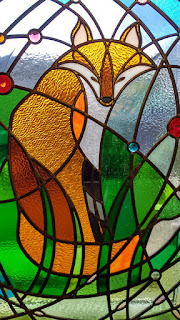 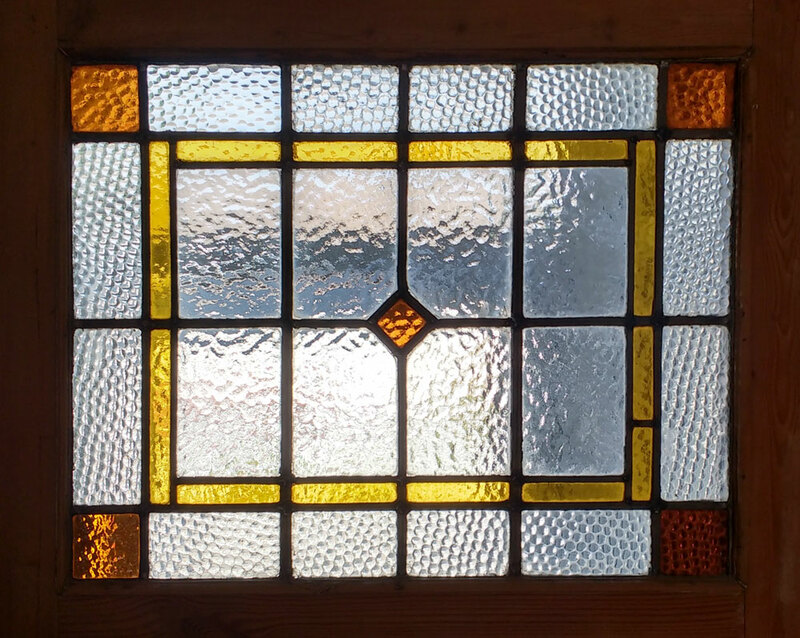 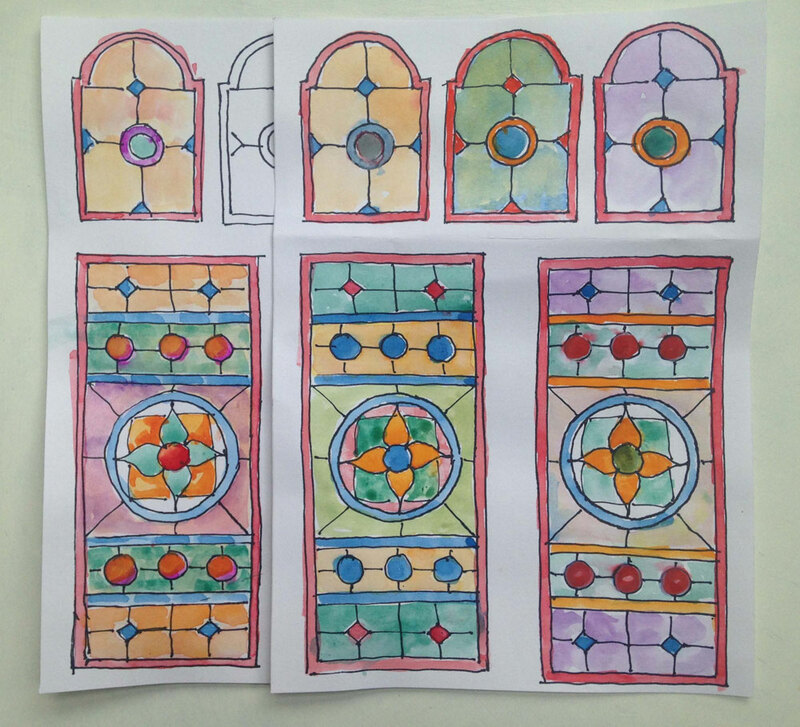 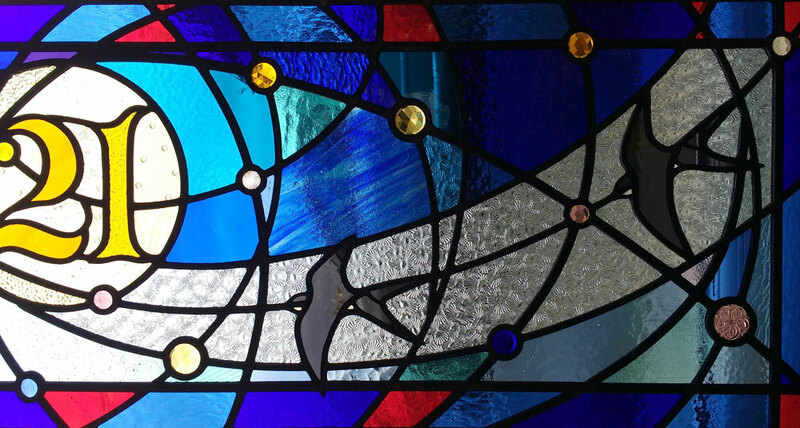 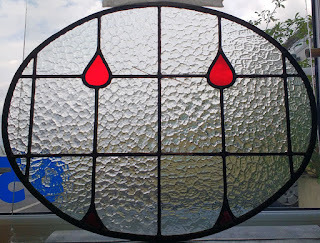 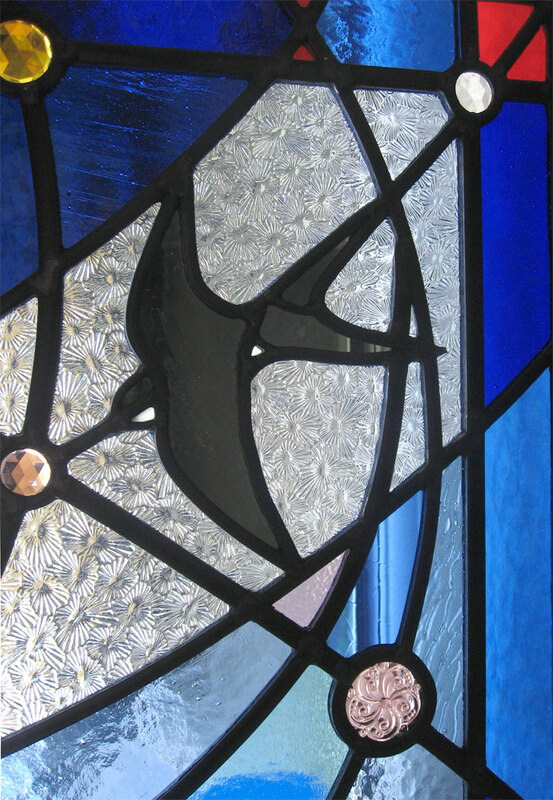 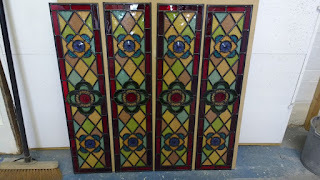 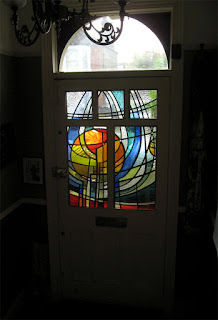 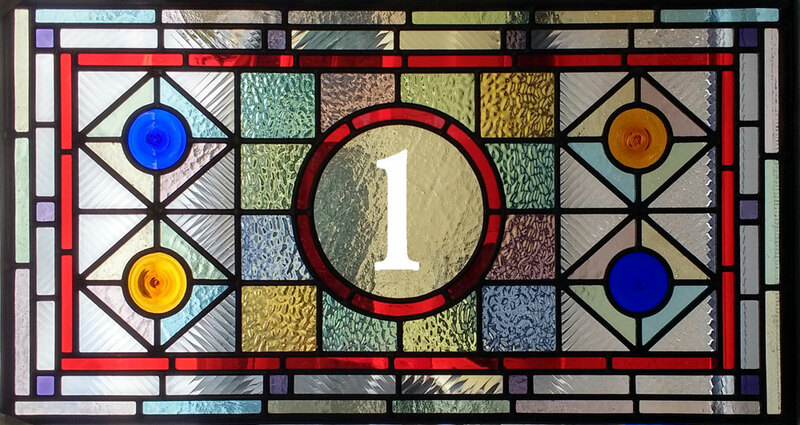 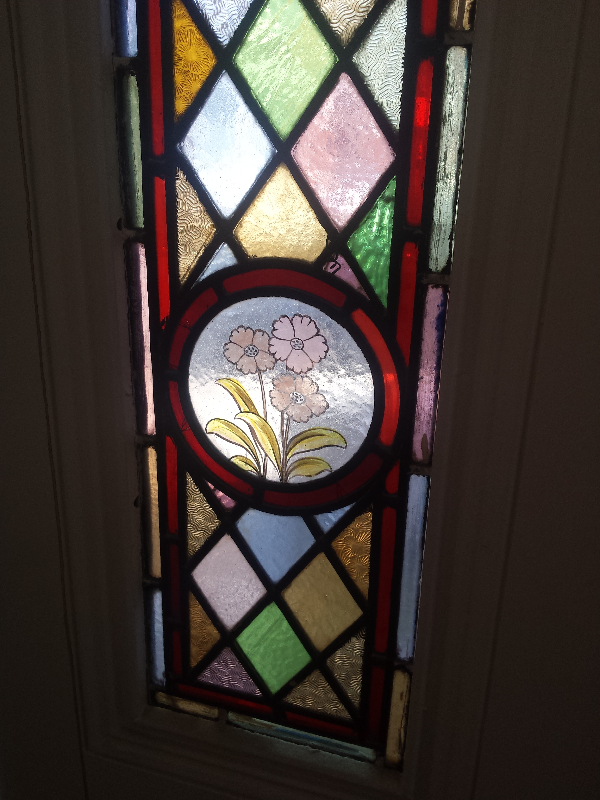 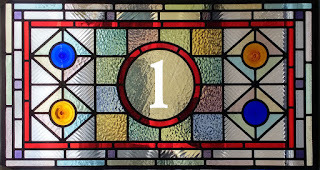 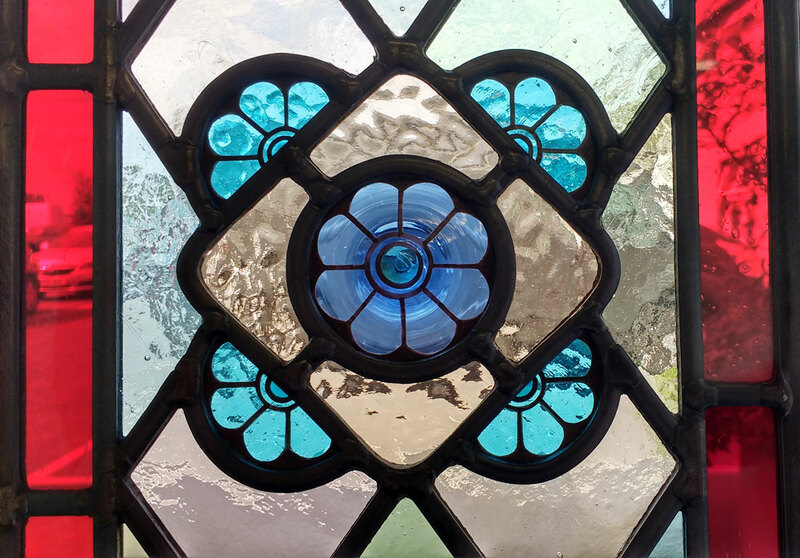 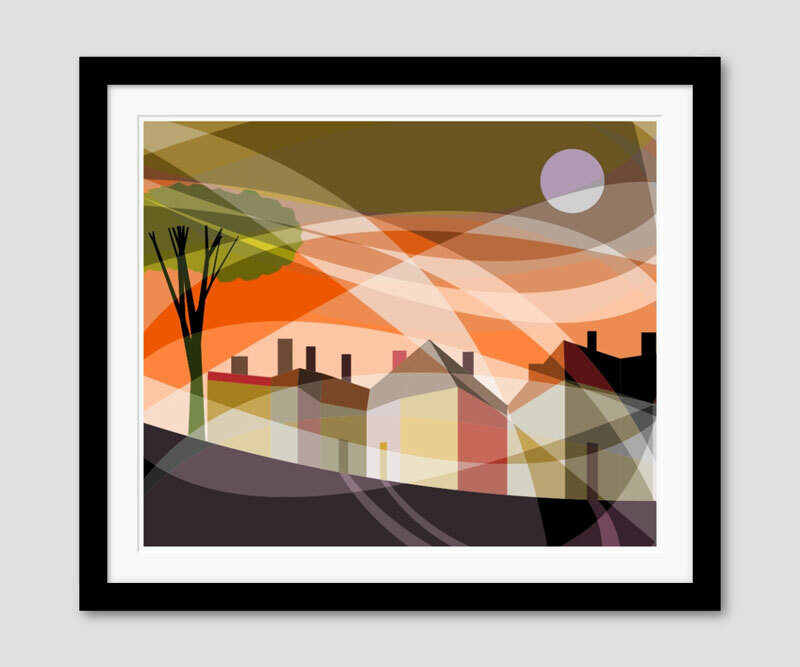 Designer, maker, restorer of traditional and contemporary stained glass. On the Virtual Museum of Poole Pottery, a fascinating well researched site that you can spend a very long time browsing! 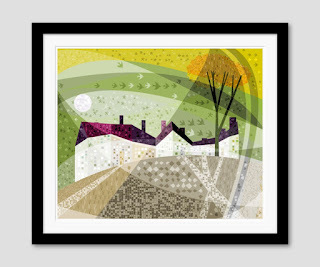 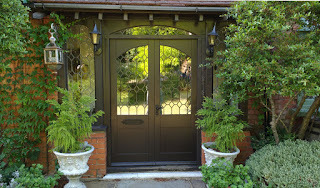 Front door panels inspired by a Tony Morris design of pollarded trees and adapted by Ian Marshall. 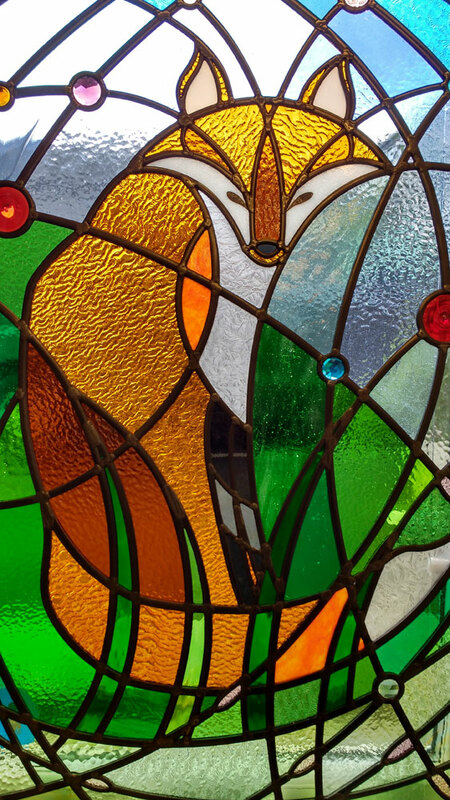 The Tail of Amazing Mr Fox! 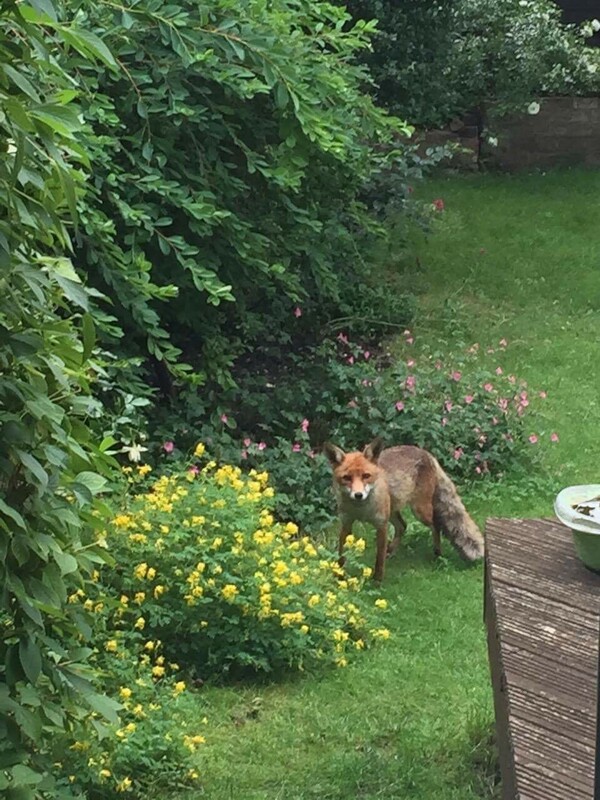 A beautiful fox was settled into a garden in Lewisham, London. 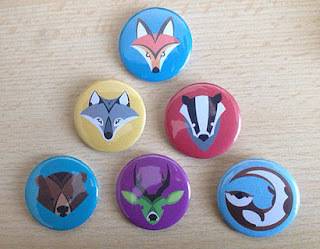 If you too have been smitten by Mr Fox, Warren sells these badges that are available on his website. 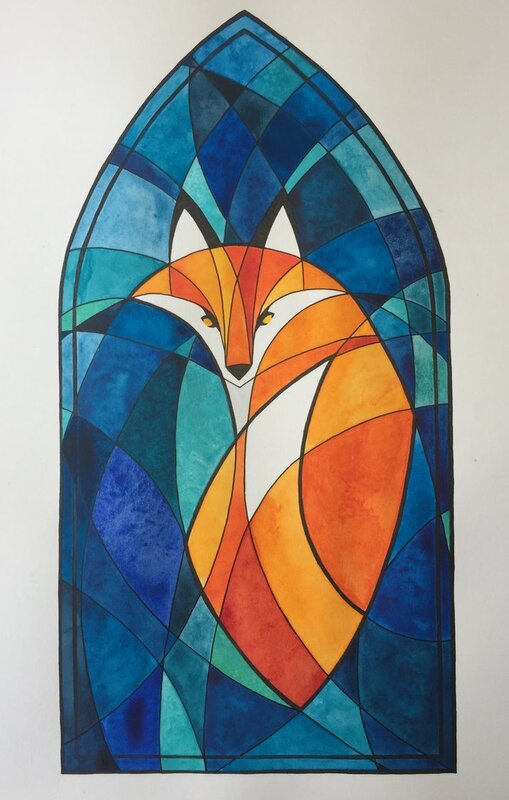 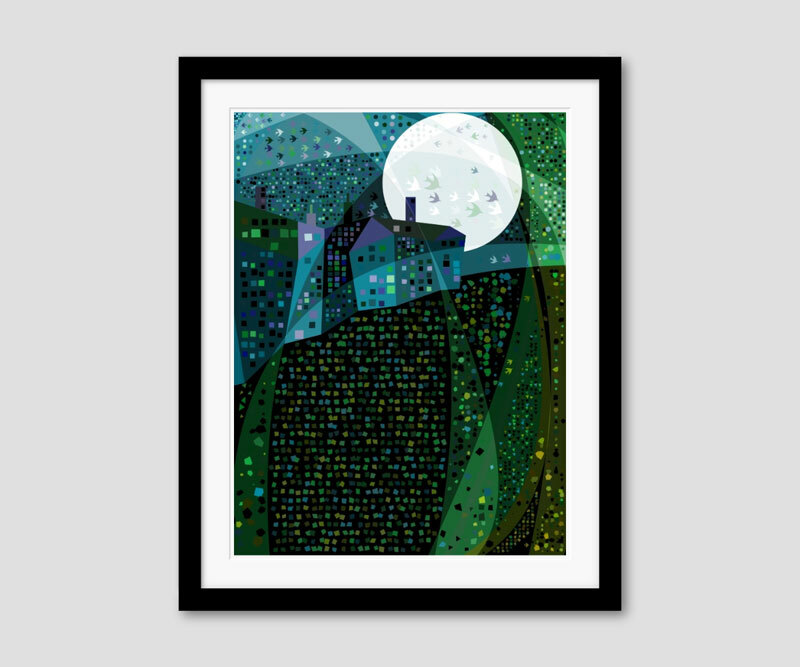 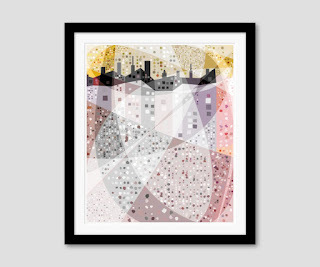 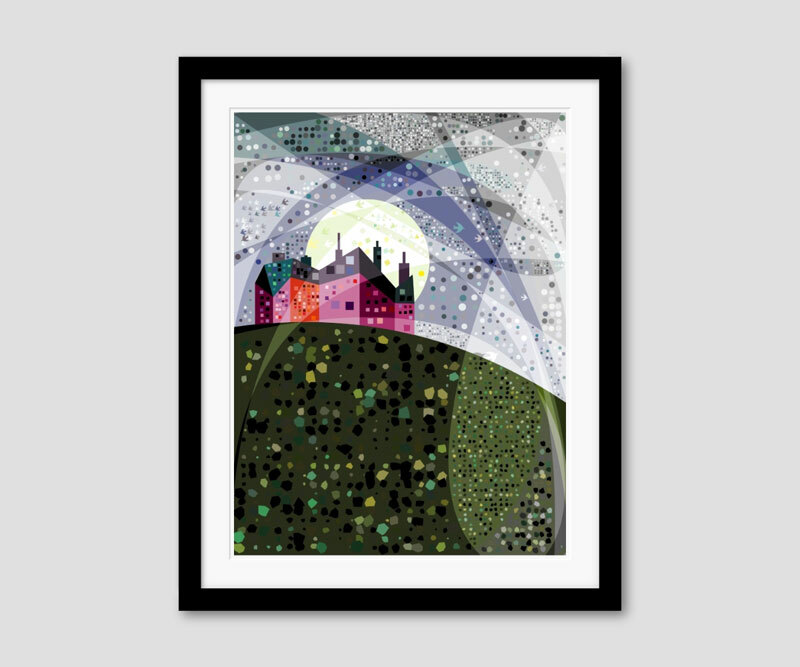 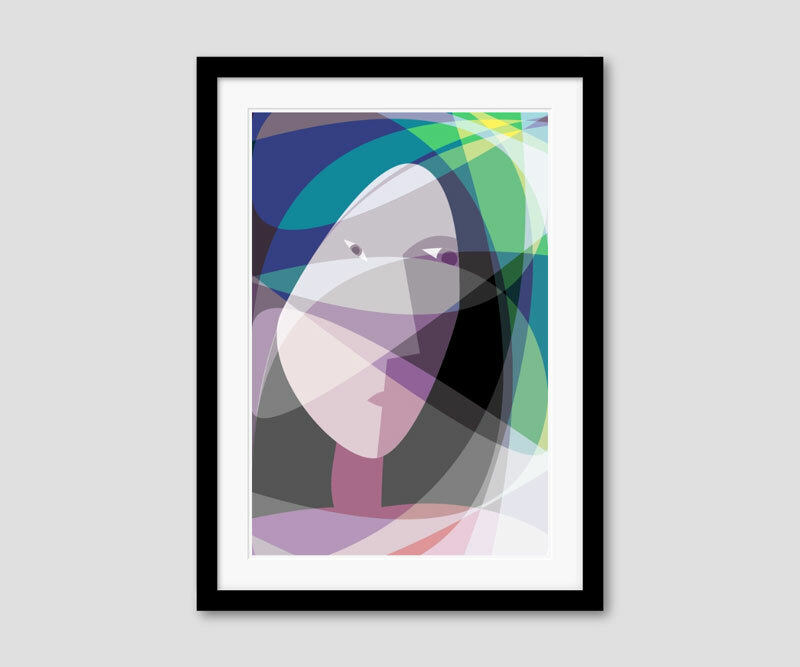 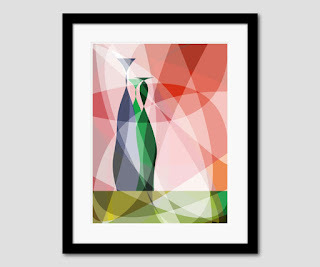 See more of this beautiful work on the Painting By Code website. 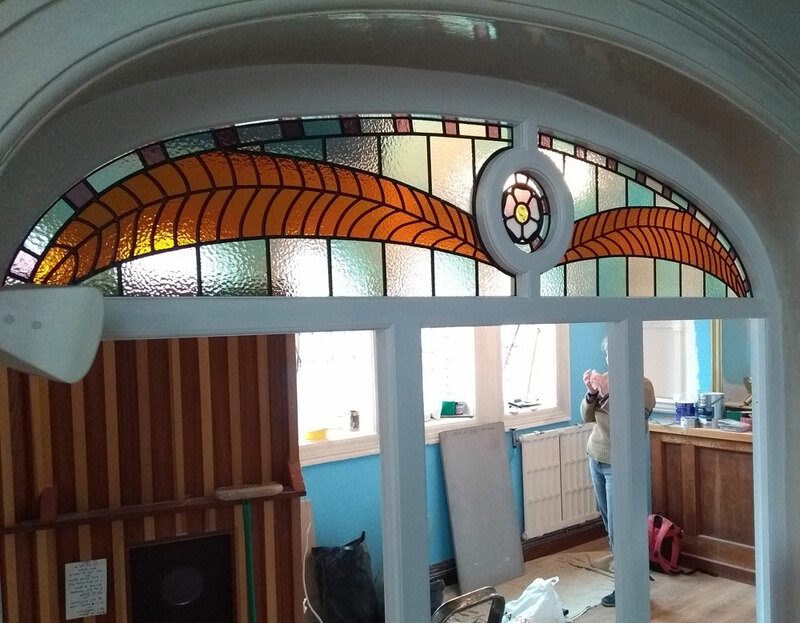 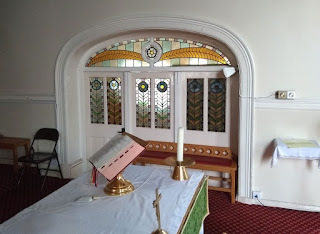 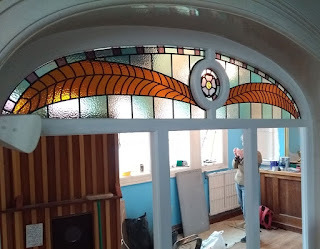 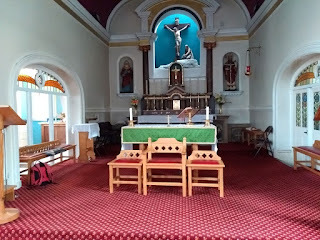 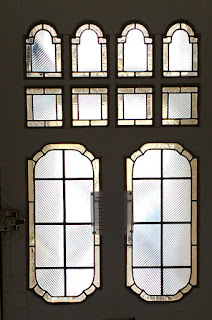 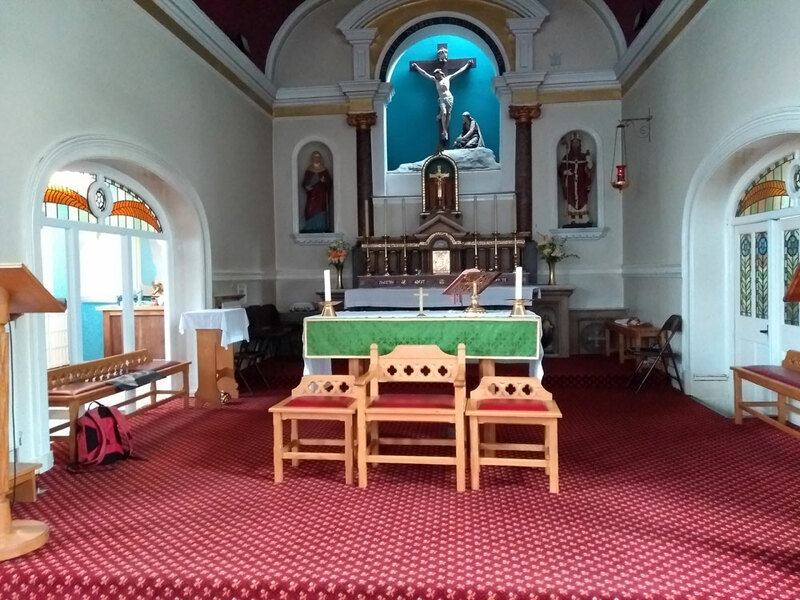 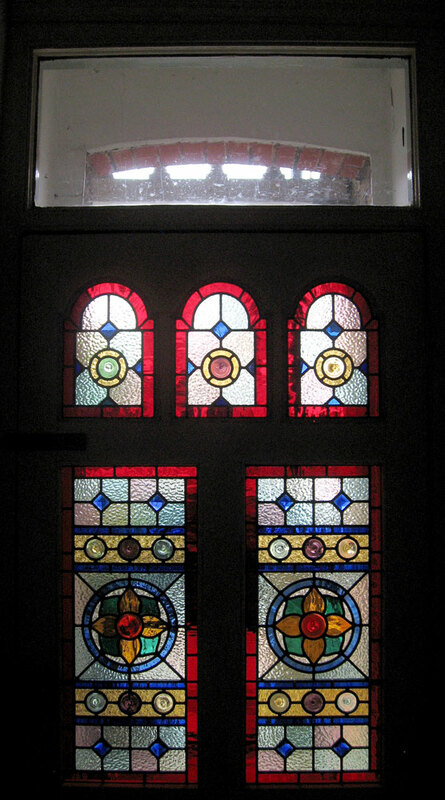 New fanlights (left) to match existing original panels (right), St Mary Magdalene RC Church, Brockley, South East London. Restoration of damaged original door panel. 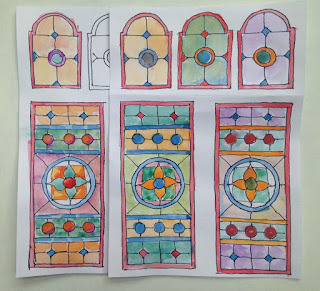 Watercolours exploring ideas for adding more detail / colour by the client. 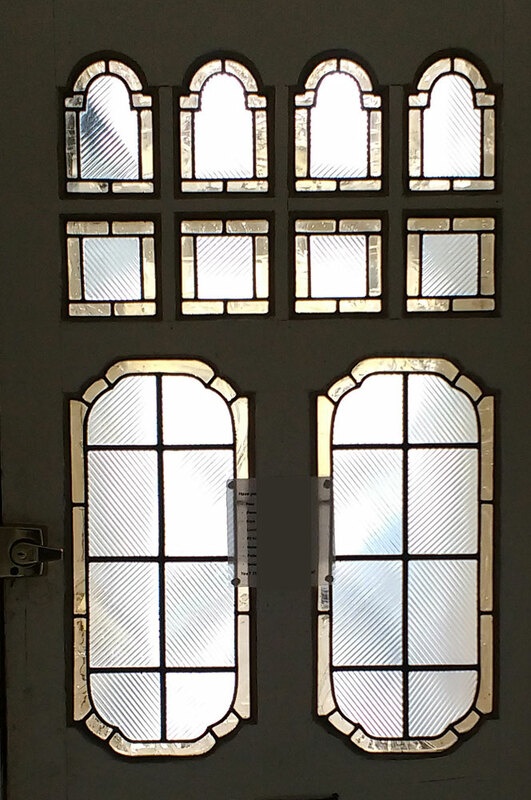 On site repair of one cracked pane with matching (old stock) glass in Ladywell. 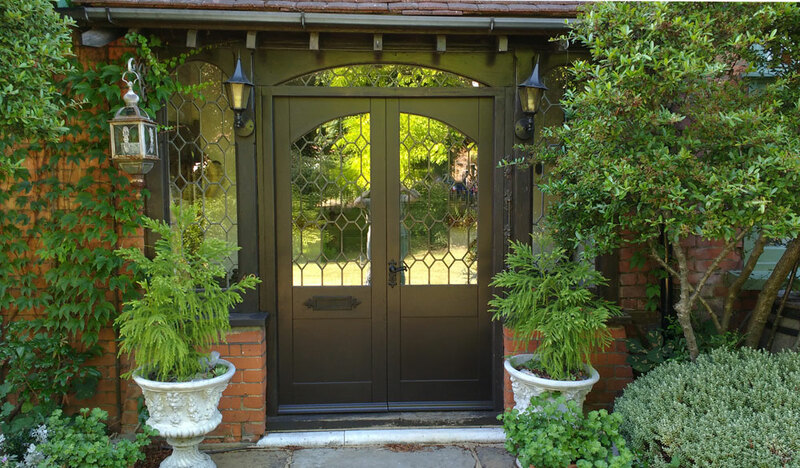 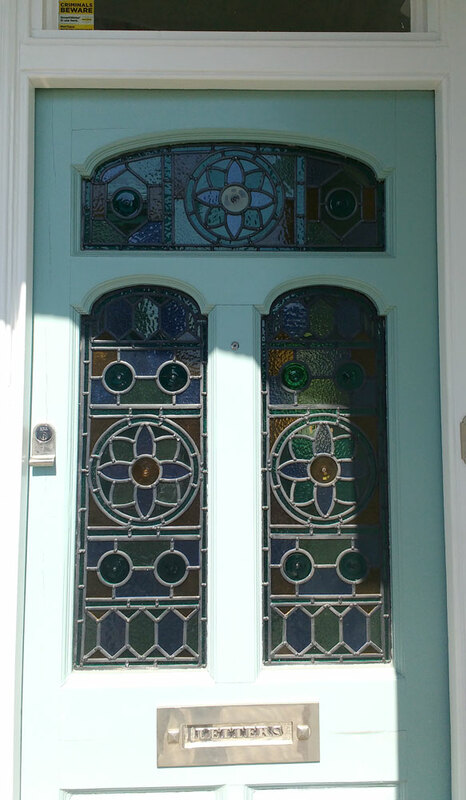 Partial repairs and restoration of a beautiful original door set in New Cross. 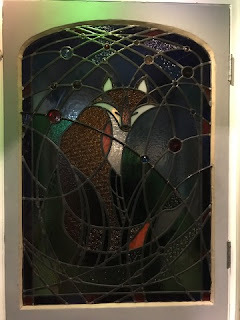 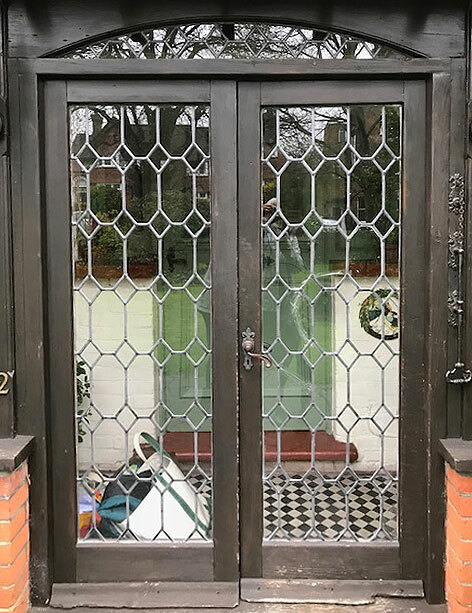 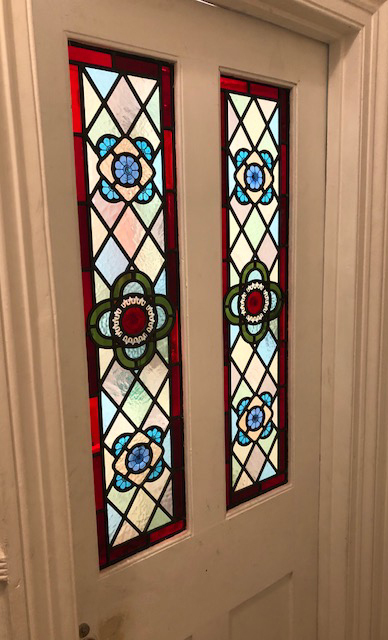 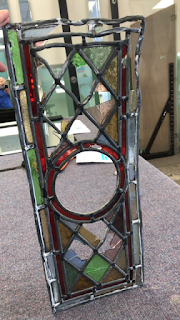 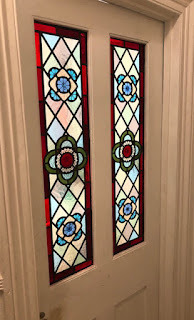 Rebuild of an original 1930's door panel in Charlton keeping the different types of Arctic glass used for repairs over the years. Rebuilt panel with added support bar. Rebuilding and reshaping of porch door panels to go into smart new doors in Bromley. 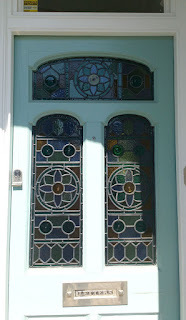 New doors made by Ben Bater. 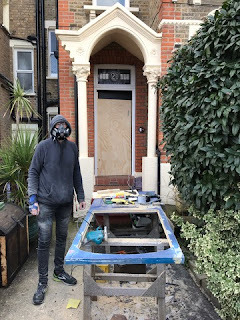 On site repairs Hither Green. 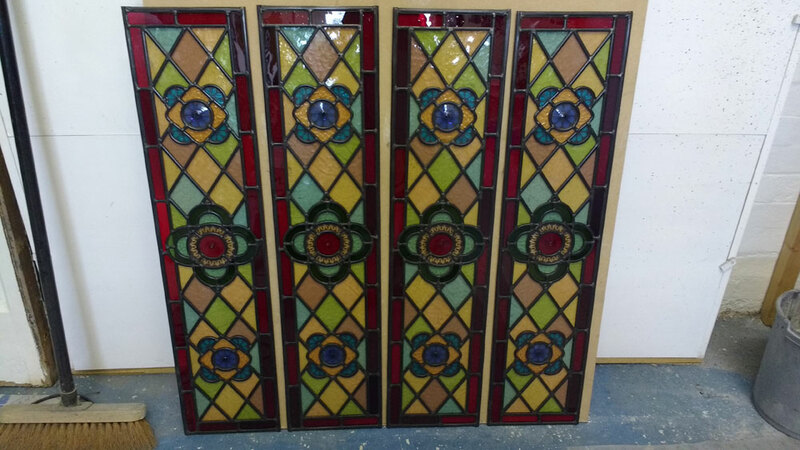 New door panel to match existing door panel salvaging old glass from damaged panel. 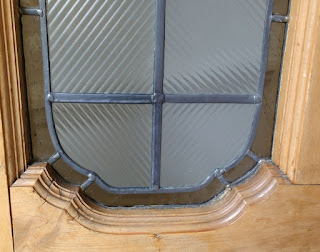 Matching up to the existing panel. With painted detail by Flora Jamieson.